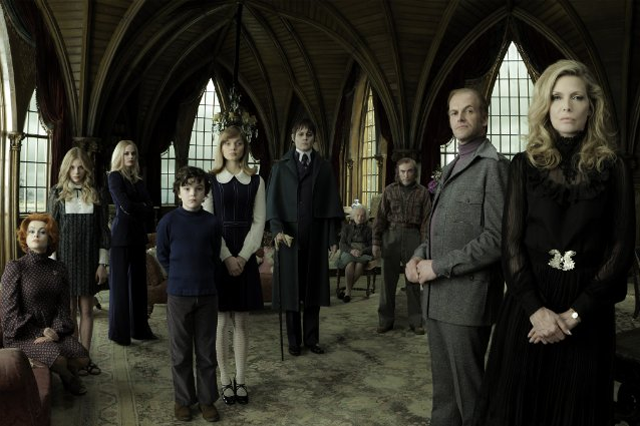 Last week I finally got around to watching Tim Burton's Dark Shadows. Admittedly when the film first came out back in 2012 I didn't think it looked very good, which is why it's taken me so long to actually sit down and watch it. I was pleasantly surprised therefore when I enjoyed an hour and thirteen minutes of mild horror, romance, comedy and beautiful visuals. 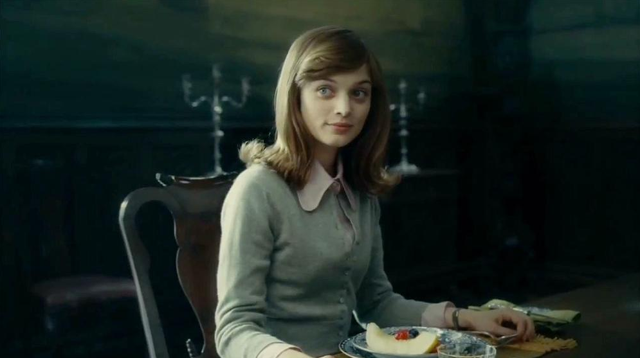 What I found most inspiring about this film however was the character Victoria Winters, played by the lovely Bella Heathcote, whose wardrobe throughout is cute and quaint with just the right amount of Gothic. 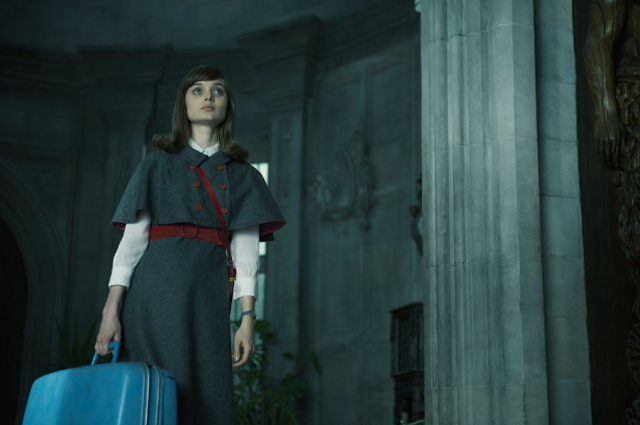 Brought to life by costume designer Colleen Atwood, Victoria sports oversized collars, cardigans and pretty blouses, whilst her polished hair and doll-like features help to create a real Sixties vibe - basically I wish I was her. Get "Victoria's" look with The Whitepepper's Embroidery Detail Blouse, a navy cord pinafore from Mod Dolly, some white tights, (you can currently buy these from ASOS quite cheaply but American Apparel also sell them), and some pretty, mid-heel shoes - I personally quite like this velvet pair from Topshop. I know who I'll be dressing as for Halloween next year... talk about planning ahead!